Or, get it for 36400 Kobo Super Points! 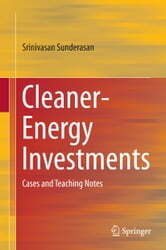 This book is a compilation of case studies from different countries and covers contemporary technologies including electric vehicles and solar thermal power plants. The book highlights the real-world situations facing individual projects and highlights the strengths and weaknesses of the underlying business propositions. It also sheds light on the factors that are routinely ignored during project formulation and risk assessment, namely coordination among public and private agencies, confirmed availability of relatively minor but essential components, possibility of concurrent demand for inputs from different project proponents, etc. 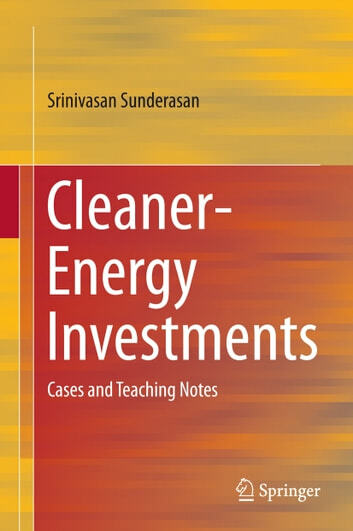 The book provides a systematic ‘guided tour’ of renewable energy (RE) projects for potential project analysts and includes the development of financial models. It concludes with an evaluation of risk and the design of risk-mitigation measures. It is designed to simultaneously appeal to business school students and to serve as a guide for practicing executives, policy makers and consultants. The cases cover several countries, currencies, policy environments, technologies and resources and will help policy makers, consultants and project analysts and proponents view RE projects in a new light.